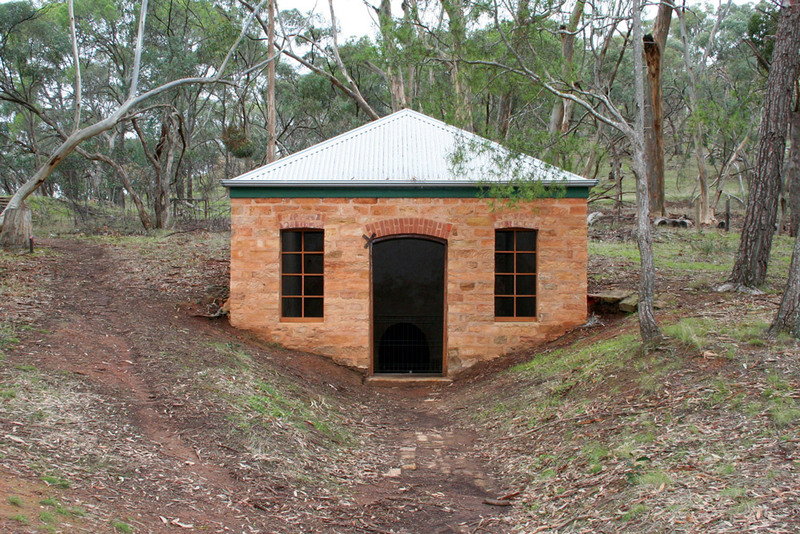 This building (which has recently been restored) was built at the same time as the reservoir (1879) in order to house the turncock (a large, wheel operated tap) that would control the flow of water from the reservoir into the town. This is where the water was drawn from the reservoir. 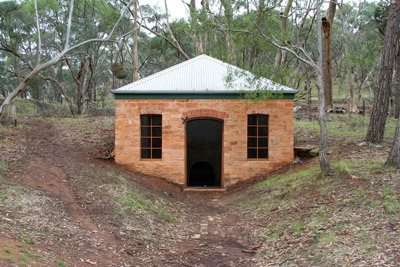 A tunnel, approximately 80 metres in length, runs under the southern bank of the reservoir from the turncock house to the water tower on the eastern edge of the reservoir. The purpose of the tunnel was to enable workers to carry out repairs and maintenance on the water pipe. 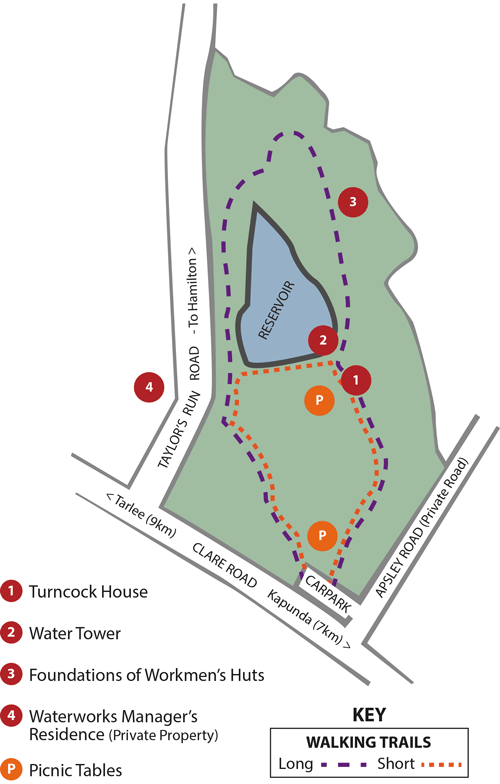 Three sets of cement slabs show the size and location of huts. Once the residence of the Waterworks Manager whose responsibility it was to control the flow of water from the reservoir to the town. This is now a private residence. There are two recently installed picnic table settings to enable families to enjoy fun. Please take your unwanted food wrappings away with you. The installation of an eco-toilet is planned for the near future.